Shruthi Haasan is all thrilled when queried about her forthcoming film 7am Arivu. 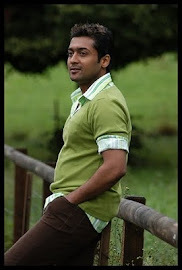 Directed by A R Murugadoss, it features Surya in the lead role. The actress feels that 7am Arivu, which will mark her debut as a lead actress in Tamil cinema, has shaped up quite well.